First I’m going to show you what I did with my point and shoot. I have a Canon S95 and I absolutely love it. its a great handy little P&S, very fast and is able to capture my quick boys fleeting smiles before the moment is missed. I highly recommend this camera to anyone hoping to have something faster but not interested in learning everything there is about a DSLR. Anyway on to the pictures. No editing has been done to any of these. in fact I use the Eye-Fi card in my P&S so my images get directly uploaded to flickr for me. you can also set it to directly upload to facebook if you wanted, another great gift to put on your wish list! Oh and one more note, I would highly recommend using a tripod for these pictures, however I know most people don’t have tripods so I didn’t use one, I just took a book and rested the camera on the book then held steady as I clicked the shutter. You can change it to not fire the flash even on auto, if you don’t know how here’s a great time to figure it out. Here is the same shot, just without the flash, see how much better it is? Settings: f/2 | 1/30 | ISO 640 —- see how since i turned the flash off, the ISO went up and the shutter speed (1/30) went down, i.e. slower? that’s because the camera had to compensate for the flash not firing and needing more light. Pretty good eh? well what about shooting in Manual, can P&S do that? Well yes some of them can! In fact this is one reason I love my S95 so much. I’m a photography junkie and I shoot manual 100% with my DSLR so I wanted to be able to do that with my P&S cause you really can get more artistic with your pictures if you take control. Anyway my settings are (if you care about that stuff): 1/13 | f/4.0 | ISO 800 | 6mm and NO flash —- so why did I pick those settings? Well I wanted my aperture (f/4) to be a little closed down more so that the lights look more like little starbursts, I had to increase the ISO more and slow down my shutter (1/13) even more to compensate for closing down the aperture (the opening of the lens), when you close down the opening of the lens (i.e. aperture) you need even more light to hit the sensor, the ISO (worker bees to get the light) and the shutter speed – slower allows more light in, do that! There are many books out there that explain this better than me. I am just trying to give you the quick overview here 🙂 Try reading Understanding Exposure if you need more help! So can you get artsy with a P&S well sure of course you can. For this picture I just played with my focus. I focused on the floor right in front of me then moved the camera to compose my picture. this is called focus / recompose and you can do that with DSLRs or P&S. So what about my DLSR? Well I’ll gladly show you 🙂 This first one is a fun artistic one, and would be great as a background for scrapbooking if you do that sort of thing 🙂 These also have NOT been edited, except for saving for web to decrease the size of the files! Taken with my Canon 5D 50mm 1.4 at f/1.8 | 1/160 | ISO 800 . In order to get the tree bokeh, I sat with my legs straight out in front of me on the ground, I focused on my feet then recomposed to just the tree. 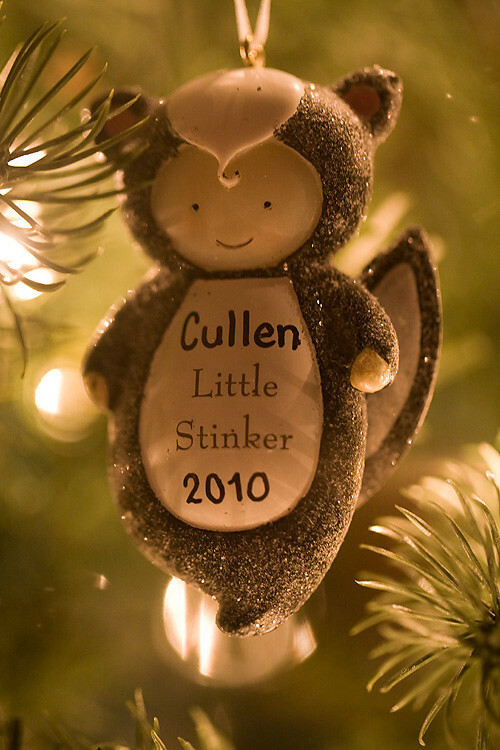 The next one was also taken with the 50mm at f/1.8 | 1/60 | ISO 800. this is my oldest ‘special’ ornament last year. These next two were taken with my 100mm L IS Macro f/2.8 taken at f/2.8 | 1/30 | ISO 1600, and this one was Cullen’s special ornament from last year. Great post Rachel, I love the difference you can make with just a point and shoot camera. Thanks. This is something I’ve always wanted to know. Saw this pinned on Pinterst. Love the idea of sitting with your feet out in front of you to focus on! I usually put my finger to the side to get the bokeh, but your way is like 1000 times better. Thanks for sharing this! THANK you for sharing – this info is great. 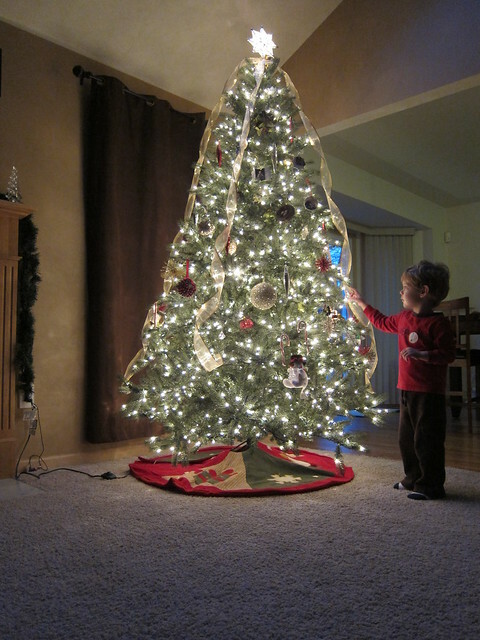 Can’t wait to put up my tree and try some pics! Thanks for the ideas! Just got my tree up last night and now I’m inspired to shoot some pictures! 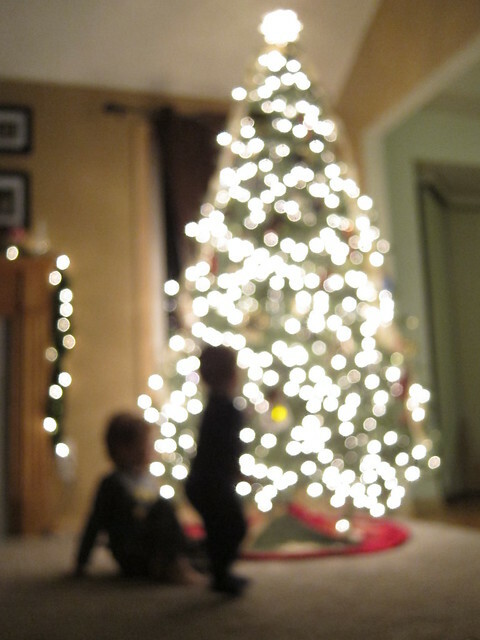 to get the bokeh picture (the blured tree) couldnt you manual focus instead of focusing on your feet? Josee – I’m sure you could MF but I don’t think you’d get the same effect. it would be more OOF (out of focus) rather than nice bokeh. Thanks for this– i, too, am a photo junkie.. freaked me a bit when i saw you, too, have a child named Cullen? lol my 8 year old boy is Cullen. Not something we see everywhere 🙂 again thanks for this!! Shae – what a great name, I love our son’s name it fits him so nice and its nice that it is a ‘normal’ name but not overly common. I love this post! I just got my Canon 50mm f/1.4 in the mail today so I of course went straight to photographing my tree like you have shown! My only problem is I seem to end up with a lot of green glare spots. Especially if my dogs were around the tree. Any suggestions? Katie – its the lens, my 50 1.4 does the SAME thing, gives me green spots. I also get bad flare when using it with regular overhead artificial lights. I’m sure there’s a fix for it, but it is frustrating. I’ve been switching to my Canon 24-70 f/2.8 L or my Macro. Maybe try switching lenses and see if that solves the problem. Great tips Thank you so much for sharing! I’m excited to give it a try. Your S95 camera works better than mine… apparently. Maybe my tree is just uglier. 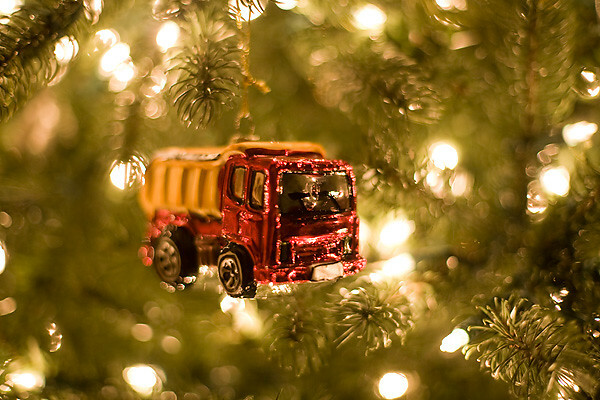 Love your blog on how to take Christmas photos. Question: When you are shooting at 1/13 of a sec, are you using a tripod? How do you keep from shaking the camera at such a slow shutter speed? Carolyn W. I would normally use a tripod but didn’t for these pictures since a lot of my readers might not have one. for these pictures I just set a book on the floor (or couch) and set the camera on that and held it super steady when I released the shutter. I just came across this on pinterest, and I tried. 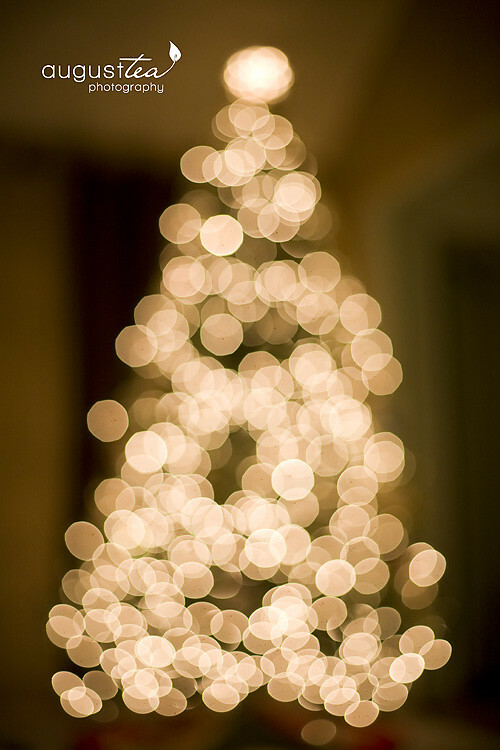 I wish I had a different lens because I would love the pic of the tree with the lights looking so huge and beautiful, but I dont have the right lens. Im still learning how to use my camera, and your tips are truly helpful! Rebecca, I’m sure you could do this with any lens, which one do you have? I’m sure I could give you tips to achieve the look you want! Thank you so much! I couldn’t get this and didn’t know what I was doing wrong. I wasn’t focusing on my feet- ha ha! I saw this on Pinterest and had to come and learn. Greetings, Just wanted to mention your website is rather very good and I really like the blog design. Is it a custom made style and design or some theme I can replicate as well? Phyllis – thanks for the compliments, the template is by Tofurious. Rachel, thank you so much for the technical information you have provided here. I am being given a P&S for xmas this year, but taking pics with my mobile phone at the moment! Thanks for showing me how cool a P&S can be! Nicely done! I love that you included P&S tips. Thanks for sharing! I am glad that i found your site …….. i too love photography , but a bit new to it . recently i bought the same canon s 95 , and it has been giving me hard time because I dont know how to use …….. I always take pictures with auto settings…….. please guide me on how to start taking good pictures ……. I have a craft blog and I require t take good pictures. Royce the biggest tip i can give you is to read your camera manual definitely start there! Thank you. Thank you. Thank you!!! 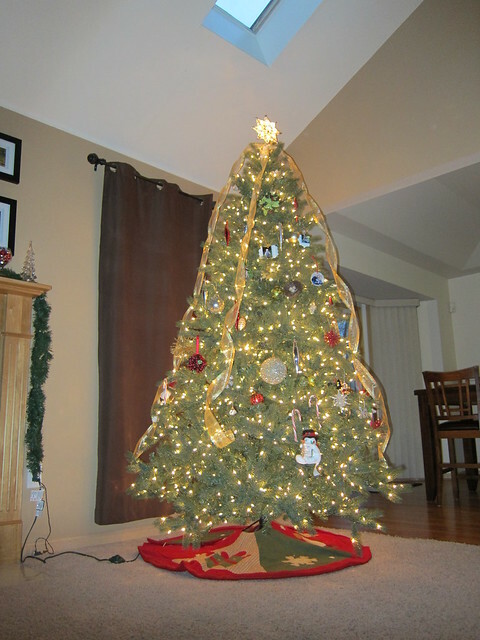 I like taking pictures of the tree with the flash off. It’s so much more interesting. Thanks for all the handy tips. I’ll have to play with the manual settings. Great tips and fantastic captures. I found you via Pinterest and am so glad I did. Thank you so much for this informative post, I cannot wait to take some photo with my Canon point and shoot. Thank you so much . I will read the manual thoroughly . But please dont mind if I have more questions for you. Thank You for putting these photos and instructions out! I have a Canon P&S SX10IS, and am envious of all the lovely effects that those with more expensive cameras/lenses seem to get! (My last blog post about this issue!) I’m going to try these things TONIGHT! Sitting here with my canon 50 mm 1:8 lens with the same settings for the Bokeh as you did, but I get a photo that is more like what you have at the top of this post. Wonder what I am doing wrong? 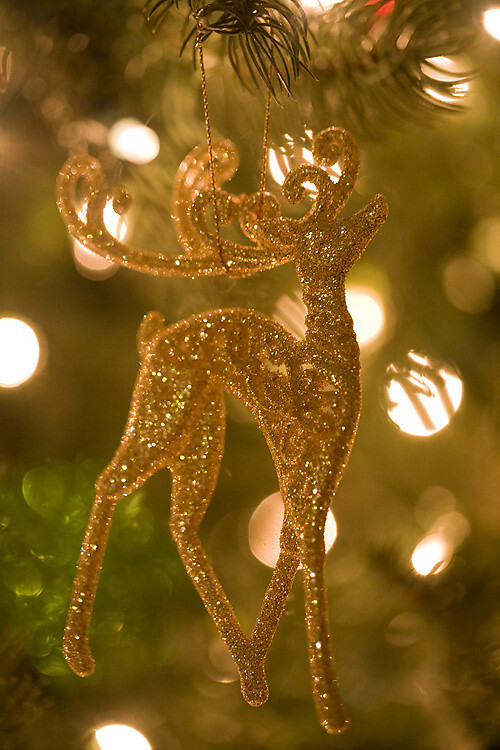 I’d love to achieve bokeh nirvana…but I seriously don’t think I am cut out for photography! I know I’m reading this a year late…. but do you know how to get the bokeh feel of the tree but have a person in front of it focused? Been trying to figure that out! I am just finding our page and love it. Thank you for doing a step by step complete for each type of camera. I can’t wait to try these tricks! Beautiful pictures!! i would love to take photos like this! but i don’t have a DSLR 🙁 i have a canon powershot sx130 is. Is there anyway to get these effects with my camera??? How do you make the background blurry and bring the focus on 1 particular object?? Ive always wanted to know!! The picture with the tree out of focus is my favorite. That makes a great xmas card. Thanks for your wonderful tips, which I am definitely going to try out! 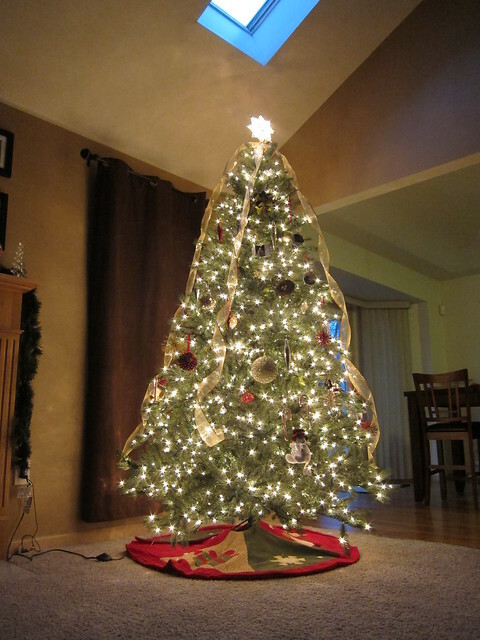 My main concern is that my tree is in front of a window – how would I avoid the flash going off in the window? Have a great Christmas! I don’t use a flash for my christmas tree pictures 🙂 then you don’t need to worry about it.